Adoption Visa: This visa allows an overseas adopted child to live with their adoptive parents in Australia. The child must be outside Australia when the application is lodged and when the visa is granted. ​​This visa allows a child who is adopted outside Australia to come to Australia to live with their adoptive parents. You must meet certain health requirements. The results are usually valid for 12 months. This also applies to any member of your family unit included in your application, whether they are migrating or not. You might be able to include your child in the visa application. Any children included in the visa application must meet the requirements for including family members in your application. The application must include documentary evidence of their relationship to you. Children who are included as members of your family unit must be able to show that they meet health and character requirements. This information is for people wanting to sponsor a child for an Adoption visa (subclass 102). It is usually the sponsoring parent who prepares the relevant documents and lodges the application. 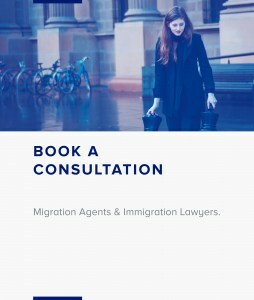 been granted your Australian permanent resident visa but you have not yet entered Australia.